Three orphans from Kenya stow away on an airplane to embark on a desperate quest to meet the Secretary General of the United Nations in New York City and deliver a message they hope will help millions of homeless and hurting children in Africa. The Wonderful Wizard of Oz becomes their guidebook as they journey alone across the United States. The trio–one with HIV, one blind amputee, and one who hasn’t spoken for years after watching her family slaughtered–find themselves embroiled in a situation beyond their imaginations as they get close to meeting their goal. 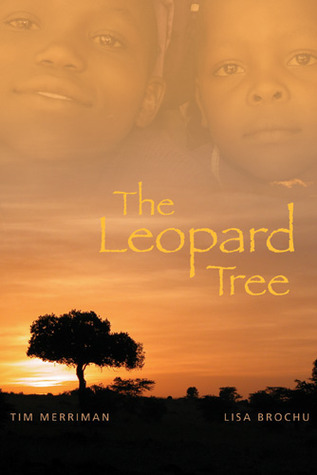 The Leopard Tree won the Best Young Adult Fiction Award in 2008 with Writer’s Digest International Self-published Competition and a Third Place EVVY in the Fiction Division of Colorado Independent Publisher’s Awards in 2008. This book was written with the hope of raising awareness of the millions of people in Africa who suffer the effects of malnutrition,malaria, HIV/AIDS, and the unspeakable atrocities associated with armed conflicts. Lisa Brochu and Tim Merriman have spent the last four decades helping people connect with our global natural and cultural heritage. This is their first work of adult fiction, but they have several other non-fiction books in print. Through their books and speaking engagements, they hope to help others to know more and do more about the daily challenges in meeting basic needs that face tens of millions of people in developing nations. When they are not traveling the globe, Tim and Lisa live in Fort Collins, Colorado, on a small farm where they raise much of their own food. They can be contacted by email at lbrochu57@gmail.com and timfmerriman@gmail.com.